Algeria's Abdelaziz Bouteflika may be gone, but his unfinished Great Mosque of Algiers, some say, symbolizes his 20-year reign, as well as his megalomania. Sitting on the Bay of Algiers, when finished it will be the third the largest mosque in the world, and the largest in Africa. It will also house the world's tallest minaret at 265 metres. The initial cost of the project was at 1.2 billion euros, but it has already superseded that price tag and construction, launched by a Chinese company in 2012, is already more than three years behind schedule. Bouteflika financed the ambitious project using the country's vast oil wealth. But as one exasperated Algerian noted to the French news agency AFP, “there are mosques every 500 metres in this country, we didn't need that". Indded, Algeria has more than 20,000 mosques. With a population of 40 million, the National Agency for Health Institutions noted in 2015 that Algeria's university hospitals date back to colonial times. Most are even a century old. Throughout Bouteflika's time in power, many health workers regularly denounced the lack of medical staff and equipment in public hospitals, noting that money regularly spent on mosques would have been better used to improve health services. 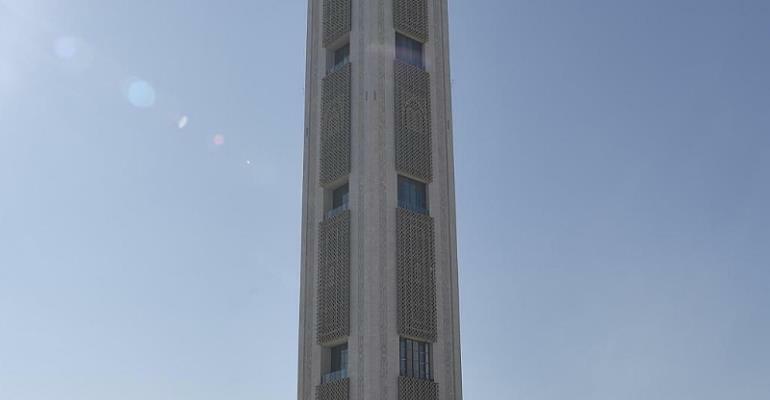 Right now on social media, many are calling for this new mosque to be turned into Algeria's largest hospital instead.